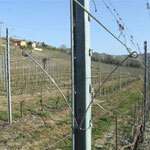 "Working with Accessories for Vineyards, we have made big changes on the spacer spring for both metal and concrete poles. 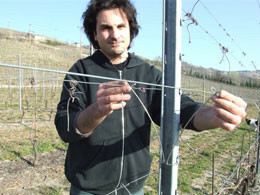 Intense research by Dante Rivetti, with the assistance of Accessories for Vineyards, has produced a revolutionary designed spring spacer. 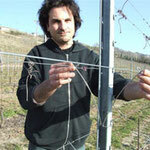 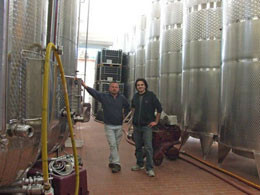 The new prototype spring spacer can be seen in use at Dante Rivetti's vineyard. 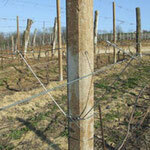 This kind of spacer gives to the winegrower the chance to close each arm. 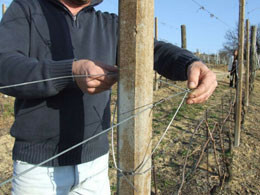 That is possible thanks to two hooks which go closing inside the pole, getting each arm independent. 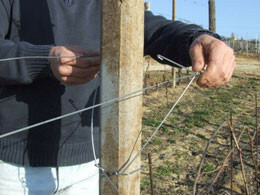 This leads to more speedy in the high plants,where it is very difficult to close the last spring. 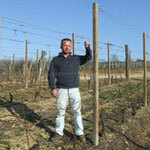 Our new spacer spring allows the winegrower to close each arm which moves independently. 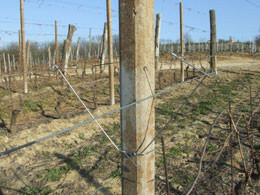 Thanks to the two hook system that close inside the pole, the arms act independently, increasing both speed and ease to make adjustments to the plants. 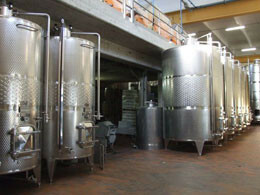 This new spacer spring system allows dramatic increase in ease and speed of plant adjustment, particularly the taller plants which are the hardest to work with." 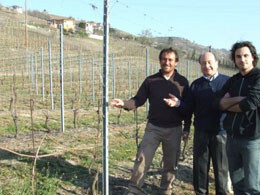 The roots of four generations of the Rivetti family run deep into the hills which overlook Neive from Bricco.Towards the end of the 19th century, Giuseppe Rivetti "Pinin", head of the family nicknamed "Valletta", bought three estates to share between his children. 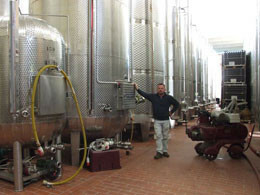 A century later, in the mid 1979's, his grandson Dante began personally running them, bottling and selling the wines produced under his own name.With the help of his wife Luciana, following his grandfather's footsteps, over the years he has expanded the estate and now cultivates 42 hectares of vineyards.The meticulously tended vineyards are kept under constant control by Dante. 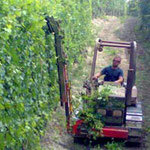 Pruning and thinning are the most delicate operations and it is in his vineyards, which are as tidy as the most pristine gardens, that Dante proudly spends most of his time, making them his home in which to exchange opinions and pleasantries with both friends and experts. 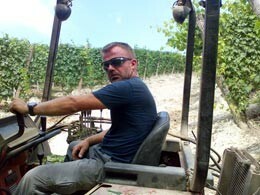 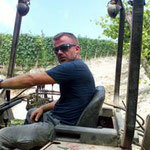 The meticulously tended vineyards are kept under constant control by Dante. 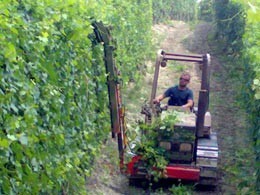 Prining and thinning are the most delicate operations and it is in his vineyards, which are as tidy as the most pristinge gardens, that Dante proudly spends most of his time, making them his home in which to exchange opinions and pleasantries with both friends and experts. 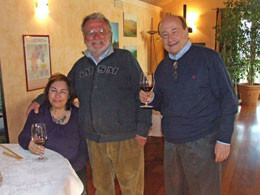 At cascina Rivetti where the “Valletta” stock was born and which has returned, after more than a century, to become part of the family, situated on the hill overlooking the old village of Neive, many different grape varieties are grown in lots of small land parcels.These include Nebbiolo, Barbera, Dolcetto, Arneis and Chardonnay. 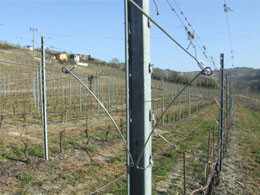 The historical vineyards surround the winery at Bricco, an outlying hamlet in the municipality of Neive, stretching across the hill known as "Boschi". 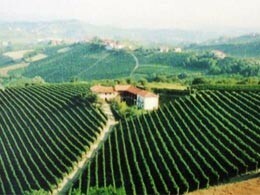 These vineyards are home to the Nebbiolo and Barbera grape varieties which have been tended by three generations since 1950. 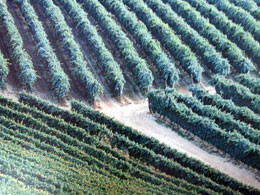 The cascina Micca vineyard extends from south to west on a single land parcel measuring 5.8 hectares, cultivated entirely with Nebbiolo. 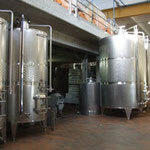 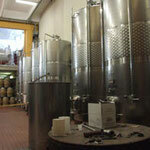 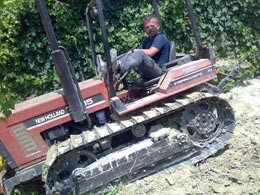 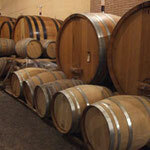 Production of this Barbaresco d.o.c.g. 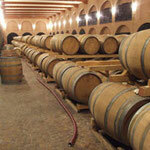 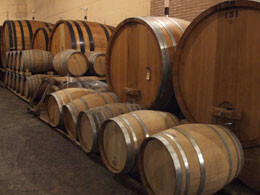 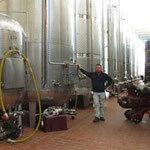 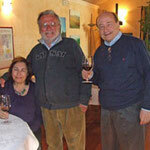 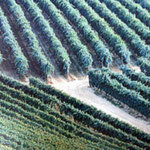 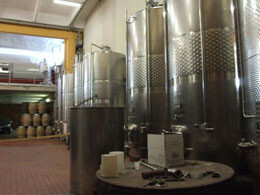 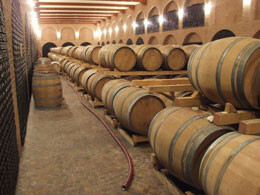 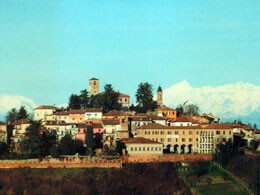 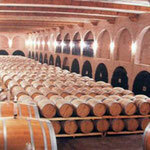 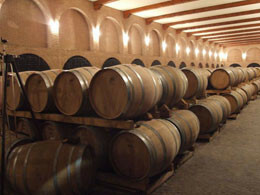 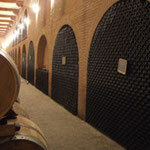 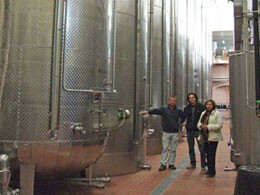 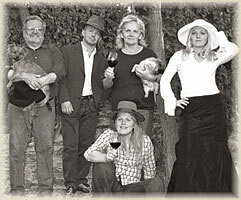 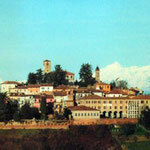 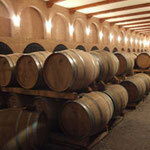 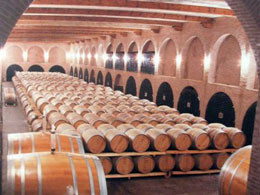 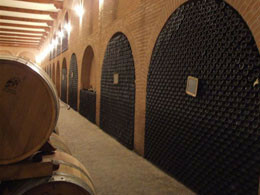 Micca, which originates in the BRICCO MICCA Barbaresco subzone, began with the 2000 harvest. 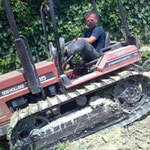 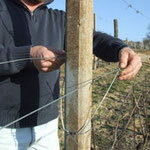 SPRING SPACER: An excellent help in the Vineyard! 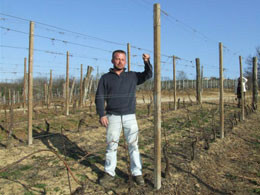 Ivan Rivetti: "This new spring spacer system allows dramatic increase in ease and speed of plant adjustment, particularly the taller plants which are the hardest to work with".